Product categories of Outdoor Bags & Accessories, we are specialized manufacturers from China, Outdoor Bags, Outdoor Sport Bags suppliers/factory, wholesale high-quality products of Metal Bag Accessory R & D and manufacturing, we have the perfect after-sales service and technical support. Look forward to your cooperation! Outdoor Bags and accessories,is new range of high quality neoprene products . We had produced Neoprene Beach Bags , hot selling selling product in last year . 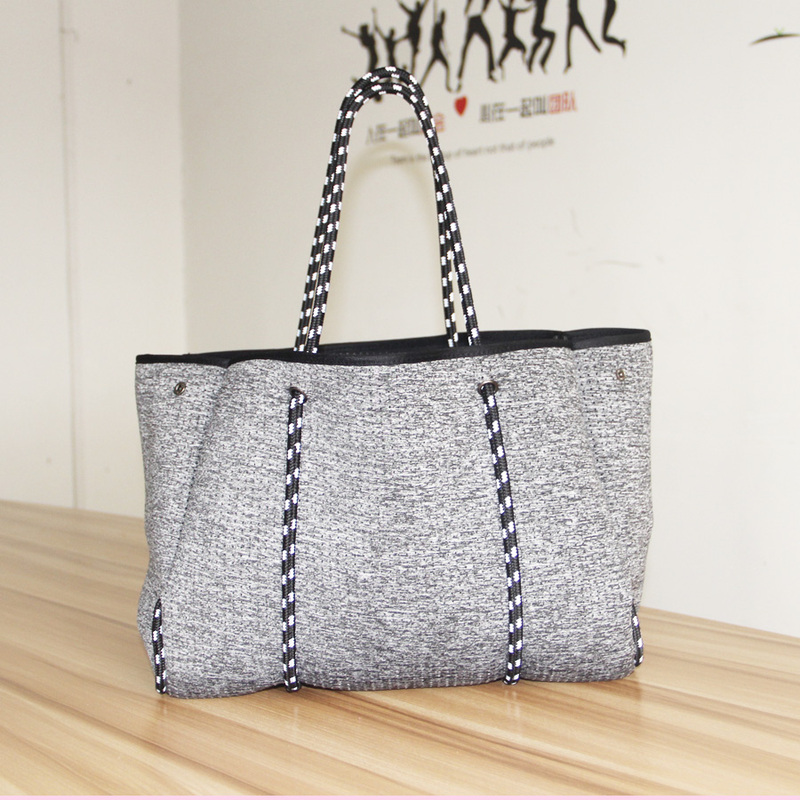 Summer holiday is coming ,take a neoprene beach bags ,carry on some beers ,fruit ,food ,have a nice trip on seaside. Beach totes can hold about 20KG . Neoprene beach bags we accept MOQ start from 50PCS ,multi colors for choose . Bassball bats ,lightweight and waterproof , suit for kids toys. Go swimming or sporting but afraid of your eye glasses , croakies glasses straps can hold stable . Neoprene shirts ,lightweight and tight ,loose weight and extremely beneficial to your body shape . Knee pads , protector your knee when you are sporting . All neoprene Sports Goods accept OEM ODM design , we are oem neoprene factory ,reasonable price but high quality ,fast lead time for you .